What is a Premium Peasant Ticket? What is a VIP Ticket? Can I add on a Sightseeing Tour to my London Dungeon entry ticket? What does the Tavern Drinks Package include? Do you offer fast track entry into The London Dungeon? 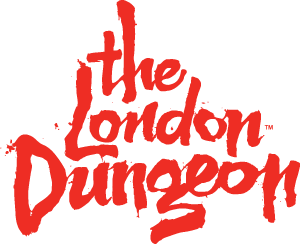 If you are purchasing your tickets on the day of your visit at The London Dungeon you will first need to visit our Box Office to book into a Show Time. The tickets you purchase here will have an allocated Show Time on them; you must return to The London Dungeon at this time to begin your experience. Where able we will endeavour to book you into a Show Time of your choice, however during peak periods this is sometimes not possible due to high demand and popularity. We will however offer you the next available Show Time. The earlier you arrive in the day and visit the Box Office to select your Show Time the greater the availability will be for your desired Show Time. Please be advised we strongly advise guests to pre-book online to avoid disappointment. To save time on the day print your tickets at home by selecting the Print@Home option at checkout. Your tickets will then be scanned when you enter. Please be aware all promotional offers, such as vouchers, must be presented at the time of purchase at the Box Office and cannot be used in conjunction with any other offers, such as booking online. Please read the terms and conditions of your voucher and ensure you have all relevant items to enable you to use the promotional offer. What is the recommended minimum age?